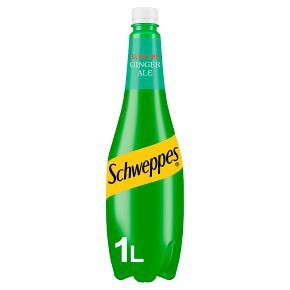 Sparkling low calorie soft drink with extracts of ginger and sweeteners. Sparkling soft drink with extracts of ginger. Ginger Ale's refreshing character makes it perfect to drink on its own with ice, or as a mixer (Smirnoff®). Sparkling soft drink Extracts of ginger Low calorie Sweeteners Serve cold for maximum refreshment. Store in a cool and dry place Please recycle.